What is laser therapy and what are the benefits? A laser is a beam of light, set to a certain wavelength, that can be used to treat pain and heal. It reduces swelling, provides less healing time, and lessens pain. How long has laser therapy been used by veterinarians? Laser therapy has been used regularly by veterinarians since 2002, when it was approved by the FDA. Over the years, medical advancements have transformed this into a state-of-the-art treatment that has no side effects. 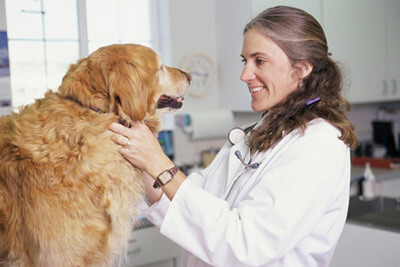 We treat dogs and cats who have inflammation or pain due to different injuries that they may sustain. This includes trauma caused by common skin conditions, as well as wounds. We use laser therapy for acute problems, and also for chronic issues that may be caused by aging or breed susceptibility, like osteoarthritis and back pain. My pet will be getting laser therapy soon. What should I expect when I bring them home? The healing process after laser therapy is fast. However, your petmay move more slowly for a day or so, or – if they have received therapy that will help with inflammation or joint pain – they may be more active than usual. Is it laser therapy safe for my pet? Yes, it is. Many studies have documented both the therapy’s effectiveness and safety. In addition, it’s also painless. Should my pet have several treatments? Yes, we suggest several treatments, since the results are cumulative. Can my older pet benefit from laser therapy? Yes, they definitely can. In fact, we often suggest this treatment to pet owners who own an older dog or cat. That’s because it relieves pain, is pain free, and doesn’t require anesthesia or surgery. For chronic conditions, you can use this therapy in conjunction with medication for even better results. Lasers therapy offers pain relief, reduces inflammation, and allows your pet to heal more quickly. If you have questions about the laser therapy procedure, give the staff at the Animal Medical Center of Streetsboro a call. We’re happy to explain the benefits.